Buying Foreclosed? Consider This First! Not many people are calling the bottom of the housing market yet, realizing that in some markets further declines in home values may still be happening. But, for the person who is ready to buy and is looking for a very good deal, foreclosed property can be an excellent way to help them become a homeowner this year. Naturally, buying a foreclosed home can be risky. You want to make sure that the home hasn’t been trashed and that the price you pay for the home minuses out whatever repairs must still be done. What a horror it would be to buy a home and find out later that tens of thousands of dollars in repairs still need to be completed in order to make your home habitable. But, there is another downside to buying foreclosed property, one that every buyer should consider – is your local market, particularly the neighborhood, flooded with foreclosed properties? If so, your home’s value may take years to recover as the oversupply of foreclosed homes (which are already undervalued) can take a long time to finally sell. Of course, if you plan on staying in your home for many years, then you can probably ride out a depressed market. Just keep in mind that a neighborhood with an abundant number of foreclosures could be experiencing other problems, such as an overall deterioration. Get acquainted with where you want to live by driving up and down nearby streets to look for signs of blight. Check with the local police precinct to find out what crime rates are in that area. And, if you see a neighbor ask them for their honest assessment of the neighborhood. So how much should you bid on that foreclosed home? Well, the first thing you’ll need to do is find out what its current value is. 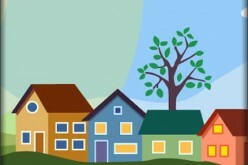 That can be hard to determine in a sinking market, but real estate comparables (comps) as well as checking home values on a site like Zillow.com can reveal that information. Once you determine what the value is, be prepared to knock as much as twenty percent off of the value of the home when submitting your bid to the bank who holds the property. Banks aren’t in the business of managing real estate and may entertain your offer even if it is considered to be a “low ball” bid. In any case, your initial bid is a good starting point to give you some room to up your price, but not by too much otherwise you defeat the purpose of buying foreclosed which is to save you some money. 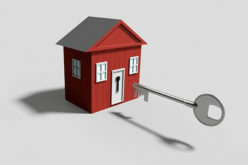 One more point: check online sites such as Trulia.com and RealtyTrac.com to keep up with home sales in a particular area. The latter is particularly good at pinpointing foreclosures, giving you a good idea if there are too many foreclosures in one neighborhood or not. Adv. 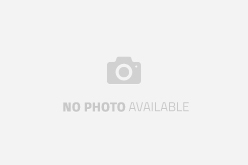 – If you are a first time homeowner, don’t forget that the federal government is giving to you an $8000 buying credit good through November 30, 2009. 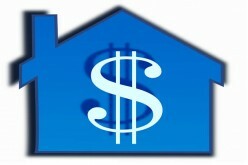 For more information about buying a home, finding a mortgage or refinancing, please visit SayLending.com. If You’re Qualified, Buying A Home Now Is Smart! Do You Really Need Mortgage Protection Insurance?